Spring and autumn are the best times to visit Colorado’s wild west: roads are ice-free, it’s off-season for skiing, and summer’s influx of tourists is yet to kick in. 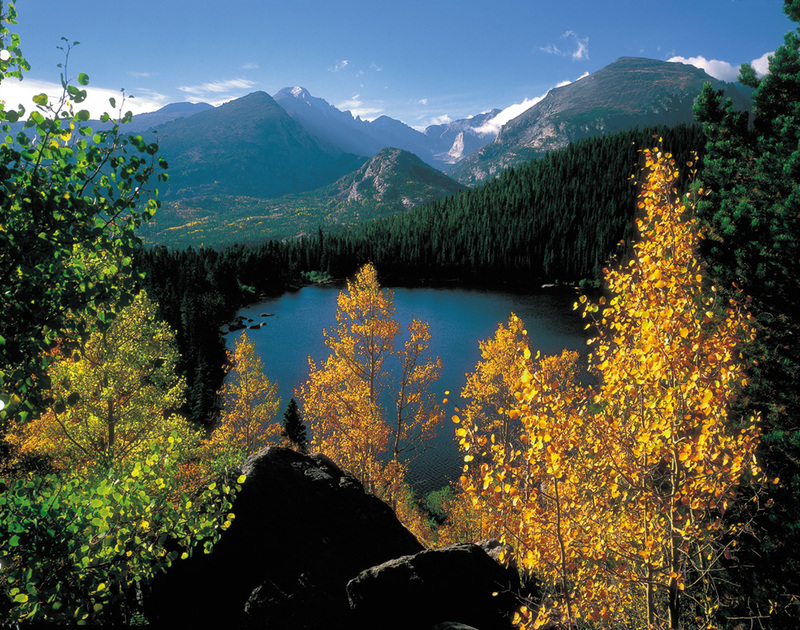 The Rocky Mountains are especially glorious in autumn, alight with the shimmering gold of aspen trees in blazing contrast to a blanket green of the lodgepole and ponderosa pines that cover the mountain slopes. Getting there is a breeze now that direct flights to mile-high Denver, the state capital, have become so affordable. Denver is pleasantly civic-minded, has the best food for 500 miles in any direction and makes a fun base while acclimatising to the altitude and the have-a-nice-day cheerfulness that passes for normality. The Denver Art Musuem has all the big exhibitions but the one to settle your mind in the right frame is the American Museum of Western Art, set in one of the few buildings dating back to the city’s establishment in the nineteenth century (it was once a brothel). For evenings out, the RiNo neighbourhood – short for river north – is like Shoreditch and Bethnal Green: once run down but busily transforming itself into somewhere hip. Here, Il Posto offers a twist on modern Italian cuisine and its tables spill on to the pavement. Nearby Death and Co is one of many late night bars with funky cocktails and a social vibe. Close to RiNo is LoDo (lower downtown) where Larimer Square, a historic site where gold prospectors first settled in the 1850s, comes alive at night with trendy restaurants and bars. Some of the finest food is served up at Rioja where the award-winning chef imaginatively reinterprets Mediterranean-style cuisine. Close by, a handy place to stay is the Magnolia Hotel, occupying what was a First National Bank, where rooms are all they need to be and morning coffee is freely dispensed in the lobby. Colorado is super big and some long drives are unavoidable, but it is only 90 minute from Denver to Rocky Mountains National Park. The adjoining town, Estes Park, is dedicated to visitors and its main street is packed with eateries and gift shops. Secluded accommodation is to be found in the hinterland. Stream on Fall River, between town and the National Park, has riverside cabins in open parkland, with hot tubs, fake open fires and kitchenettes; perfect for making packed lunches for excursions into the national park. For a Colorado dining experience, try Hunters Chop House. Vegetarians will struggle but the décor, stuffed animals, elk antler light fittings, logs and stone walls, is part of the show. The elk carpaccio deserves special mention. Unless your appetite is gargantuan, the ready-at-hand doggy bags will need calling for. 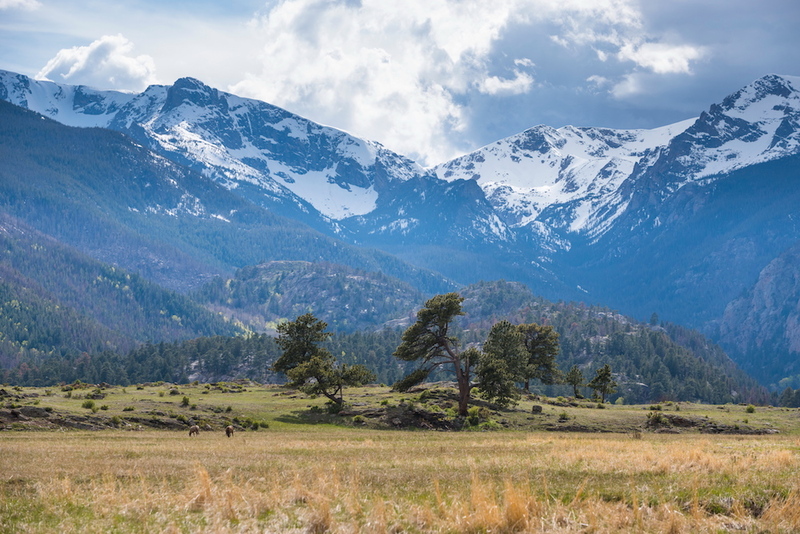 With a packed lunch in your backpack, sturdy trainers on your feet and your phone in camera mode, head off early into Rocky Mountains National Park. There are miles of walking trails, maps of individual trails and buses to take you deeper into the park. Day trippers tend to make a short walk and turn back so it’s easy to lose the crowds and be at one with nature and alert for sightings of elk. After leaving the Park, Vail is principally a high-end skiing resort but a useful off-season stop on a journey south. Its slopes become grand walking routes and room rates are lower. For longer guided walks, Paragon Guides caters for overnight camping trips using llamas to carry baggage. 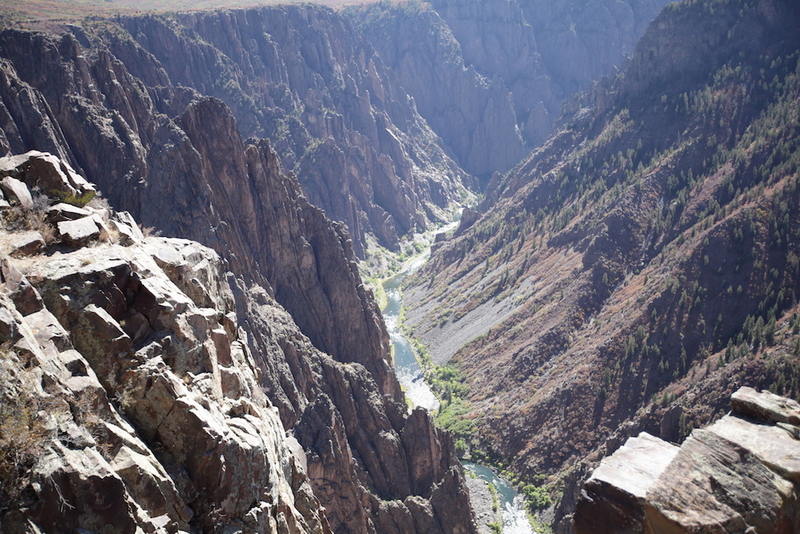 If the skiing village of Vail seems a tad too manicured and your inner wildness yearns for the Big Outdoors, hit the trail for Black Canyon of the Gunnison National Park. This national park is defined by its 19km-stretch of sheer cliffs dropping in places from half to a whole kilometre deep; sunlight only reaches sections of the Gunnison river for thirty minutes each day. There is an interpretive centre and a road around the rim of the canyon that accesses short walks to viewing points that will test your head for heights; scary vistas look down on fearsomely vertical rock faces. The word awesome reclaims its meaning here. For serious hiking, there are trails down into the canyon and those so inclined can rock climb, kayak and camp; wilderness permits need obtaining in advance to descend into the canyon. Montrose, the town close to Black Canyon with a population of only 20,000 people, exudes middle America: white picket fences, mega-sized supermarkets, American flags on lawns, enormous 4x4s pulling house-sized trailers. Canyon Creek B&B is a lovely place to recuperate after the dizzying experience of the canyon: smallish bedrooms but a spacious lounge area and a relaxing garden with a hot tub. 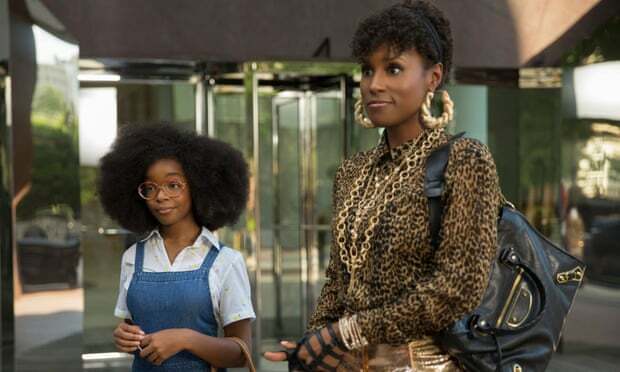 The proprietor will recount the tale of how she came home from collecting her children from school to find Quentin Tarantino on the porch, looking for a room for the night. One stage of a journey along the Rocky Mountain range takes you through the US 550 highway from Silverton to Ouray, on what might be called a golden route. It was carved out of the mountainside during the gold rush, and tailings from gold and silver mines were used to bed the road, hence its nickname ‘the million dollar highway’. The route passes through the former mining town of Silverton where a steam train functions between the tiny town and Durango. If driving this two-lane highway, the scenery is astounding but only for passengers. Whoever is behind the wheel will be solely focused on negotiating blind hairpin bends and sheer drops with no barriers at the edges. This is a drive you will not forget. The 550 highway brings you to Durango, proud of its cowboy heritage and where the lovely Rochester Hotel built in 1892 has been restored to its former glory. Filled with film stills and accounts of the many westerns that were made around Durango, it boasts big rooms, a huge breakfast and afternoon tea thrown in. Durango and all its wacky cowpoke style is a stop on the way to Mesa Verde National Park. Set on series of high plateaus the park’s distinction are the hundreds of well-preserved sites and rock art left behind by the Ancestral Pueblo who lived here from 600 to 1300 CE. Colorado is a destination for outdoor activities, especially hiking. Even in Mesa Verde National Park, where the chief attraction is cultural, there is no shortage of walking trails through forests of juniper, oak and pinyon pines. Denver is sedately suitable for the beginning and end of a trip but in between, you are under big blue skies in the Big Outdoors. For further information, see colorado.com. Norwegian fly direct to Denver from London. Rhino Car Hire provide rental cars from Denver Airport.